Home › Dog Status › Dogs off lead › Pt. View Reserve Views and Bush! 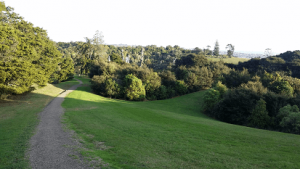 This is one of my favourite spots out East – a treasure of native bush and birds along with wonderful views of Auckland City and both harbours! Pt. View Reserve has a lot of steep terrain but can be enjoyed by most people as many parts of the reserve have well-formed tracks and walkways. Other parts are genuine bush tracks with hundreds of stairs – my first experience was with my youngest child in a Mountain Buggie – big mistake unless you keep to the formed tracks! The bush is superb – mature, lush and full of birds. There is a stream that also boasts native fish, crayfish and eels among other creatures. Pt. 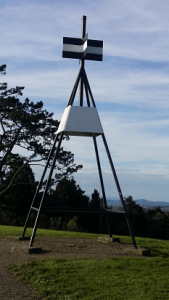 View Reserve is worth definitely worth exploring and should be high on peoples lists. 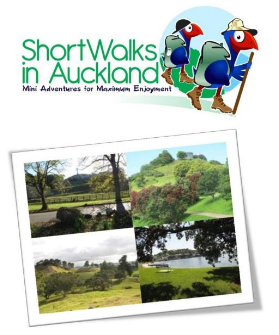 You can also walk approximately 1 km down the road and join up with the Mangamangaroa Walkway if you want an all-day Eastern Adventure! Note: Only the main formed / paved tracks are suitable for wheelchairs and buggies. Also be aware that much of the park is steep – so those pushing need to be fit and capable. The bush tracks are not suitable as they are steep and have hundreds of stairs. Note 2: The bush tracks get very muddy and wet in winter. Passable but muddy! Point View Reserve has tracks that are suitable for most. The paved tracks are easily accessible for all but are hilly. Bush tracks are suitable for those who are okay hills, stairs and rougher / muddy areas underfoot.